Lazlo’s more than capable of doing his own PR but let’s just say that certain items would have never made it out of certain corporation-owned spaceports if it weren’t for Lazlo and his unique craft. 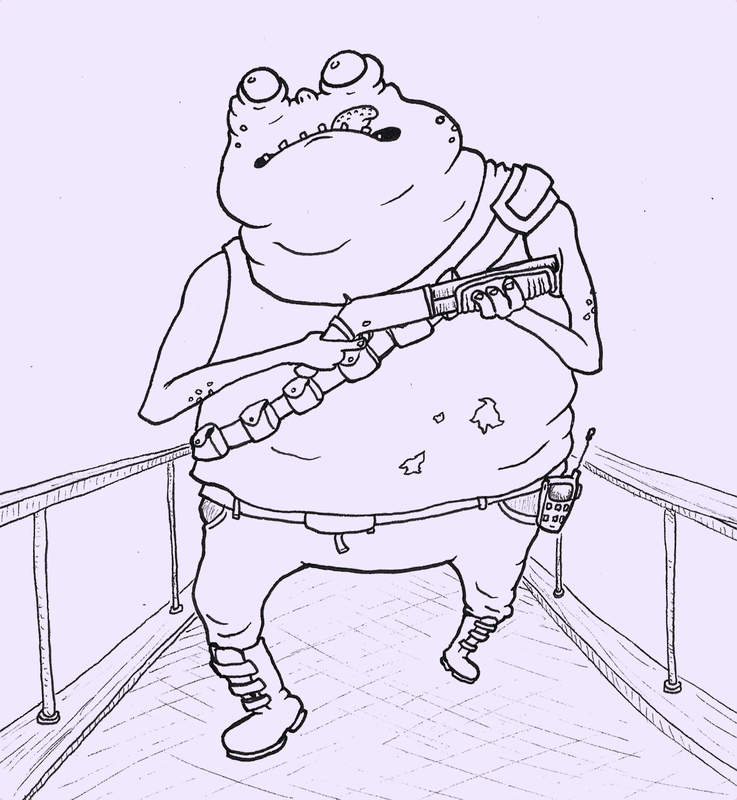 This entry was posted in Uncategorized and tagged Alien, frog, Lazlo, Rogue, Shotgun, Slug, Smuggler, Thief. Bookmark the permalink.